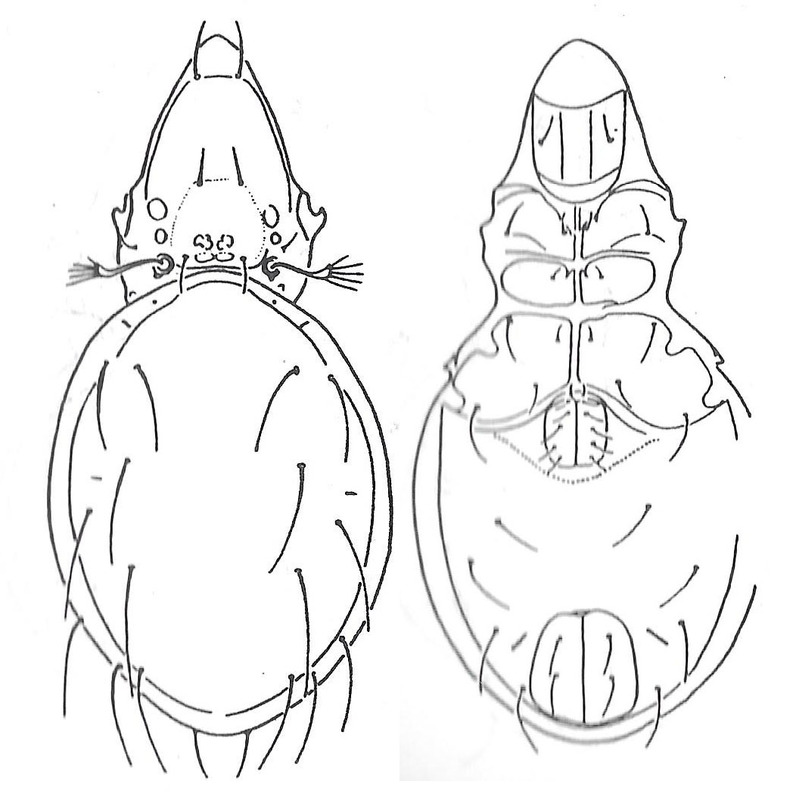 Dorsal (left) and ventral views of Brachioppia cuscensis, from Balogh & Balogh (1992 vol. 2). 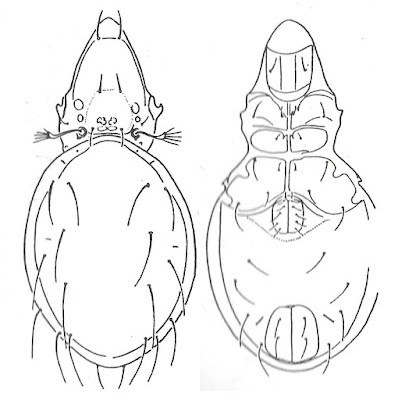 Brachioppia is a genus of oppiid oribatid mites found in tropical and subtropical parts of the world except Australia (Subías 2004). Characters (from Balogh & Balogh 1992): Prodosrum with costulae, lamellar and translamellar lines absent. Notogaster without protruding humeral processes; crista absent; with nine pairs of setae; setae la originating at same transverse level as setae lm. Genital plates with six pairs of setae. Setae ad1 paraanal; fissure iad inverse apoanal.